Abec’s Small Business Review featured HR Advocate and the Catalytic Coaching method in its December issue. Catalytic Coaching is a holistic and meaningful approach to performance management that Toledo-based HR Advocate is offering to the northwest Ohio business community. HR expert Joan Canning explained her connection to the human resources performance management system and the value that her company HR Advocate has added to local businesses. The Catalytic Coaching system was developed by Gary Markle to replace the evaluation-based performance review system with one that is equally structured, but coaching and development-based. HR Advocate believes that instead of applying grades and labels to individuals based on a job description, catalytic coaching provides a system for performance management, talent identification and leadership development. 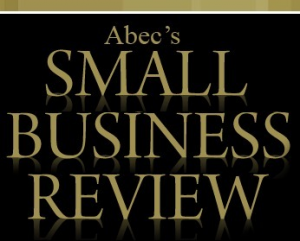 Abec’s Small Business Review is a monthly regional newspaper that began in 2007 in the Toledo area and now serves Bowling Green, Holland, Lambertville, Maumee, Oregon, Perrysburg, Rossford, Swanton, Sylvania, Toledo, Waterville and Whitehouse. The publication expanded with a second edition into the Ann Arbor region in 2009, and includes Ann Arbor, Brighton, Chelsea, Dexter, Dundee, Milan, Saline, Whitmore Lake and Ypsilanti. HR Advocate plays a lead role in health care reform consulting in the Toledo area. Joan Canning conducts seminars on Obamacare for business owners and managers and keeps her clients up-to-date on how the legislation will affect their business. In addition to catalytic coaching, she provides additional HR-related services to her small and medium-sized business clients, too, assisting with compliance training, management training and HR auditing.